As we’ve mentioned on our blog before, we have always tried to use non-toxic cleaning products whenever possible but since we started living in our home with a septic system we’ve also had to research what products that won’t harm our septic tank or kill off the “good” bacteria that help keep the system running smoothly. If you have a septic system, you probably already know that it’s best to limit the number of loads of wash you do on one day. It’s better to spread your laundry loads out during the week and to use a plant-based detergent that doesn’t contain any harsh chemicals. If you’ve landed here, we’re guessing that you most likely have a septic tank and also trying to figure out which specific brands of laundry detergent you can use and which ones are best. Since we posted this article about toilet cleaners that are safe for septic systems, readers have been asking for recommendations on septic-safe dishwashing detergents and other cleaning products to use. Septic safe laundry detergent is one of the most common questions we get so we thought we’d put together a short list of our top picks. 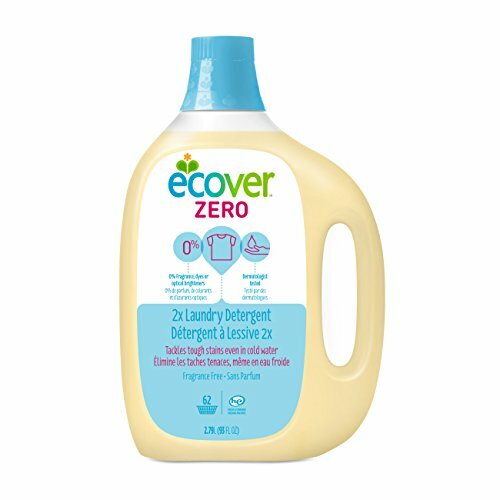 If you are looking for a quick recommendation, we like this Zero Laundry Detergent by Ecover but continue reading below for more details about this product and several other good options. If you are more of a DIY person, you can jump to the end for a simple recipe that using just three ingredients. 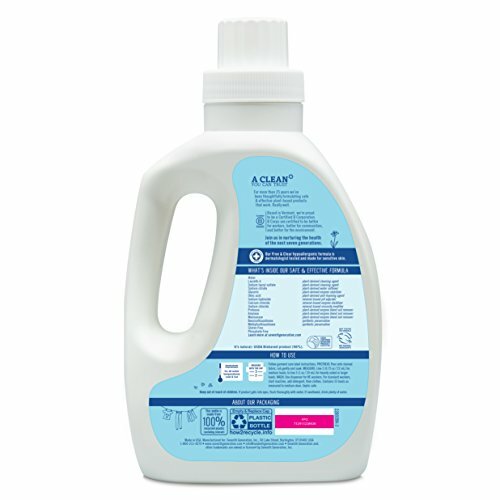 Things to consider: When searching for safe laundry detergent to use with our septic system, the most important factor we look for is that it doesn’t contain any of the harmful chemicals that should be avoided that are known to have negative effects on septic systems and contain harsh chemicals. Here are some of the main chemicals to avoid (none of the products on our list contain these so are safe choices): Chlorine Bleach, Phosphates, MEA (ethanolamine). The Ecover Zero Laundry Detergent is a septic safe detergent that is free of harsh chemicals and dyes. It is made up of plant-based materials and helps to get out even the toughest of stains. It is even great at getting out stains when used on a cold water setting. If you have allergies, don’t fret. This formula has been tested by dermatologists and is hypoallergenic. It is also free of fragrances. The formula is highly concentrated, so a little bit goes a long way. This means that you can use less than you would normally use with other laundry detergents. The ingredients, including the packaging, is made up of plant-based materials. The packaging is biodegradable, making it safe for the environment. Ecover never tests any of their products on animals. It can be a bit more expensive than your average detergent, but that is to be expected when you are getting something that is hypoallergenic, and free of dyes and fragrances. Since the formula is fragrance-free, it will not leave your clothes with that fresh clean scent that other detergents leave behind. This is a pro, but can also be a drawback. It does not include any fabric enhancers to enhance the brightness of your clothes. Planet 2X Ultra Laundry Detergent is another septic safe, hypoallergenic formula that you may consider. It offers a clean, fresh approach to doing your laundry- without the added chemicals. It is so safe that it is even recommended for use on baby clothes, or for people who have skin sensitivities. It is also free of all dyes, fragrances, and brighteners. This formula is safe to use in both standard washers and HE washers. HE washers require a specific type of detergent to avoid too much suds, and this is safe for all washers. All of the ingredients are phosphate free, as well as free from all dyes and fragrances. This is great for people with allergies, as it is hypoallergenic. It offers effective performance, even on the cold water setting on your washer. No more relying on hot water to get out the stains in your clothes. Some consumers have said that the inside of the cap for this product is a bit difficult to see due to the design of the cap. It has been known to not be as effective at cleaning your laundry if you live in an area with hard water. 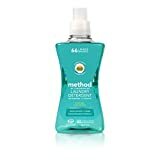 Another brand we’ve just recently discovered is Method. This young company, founded in 2010 has become one of the fastest growing green companies in the US. They specialize in non-toxic cleaning products. Their 4x laundry liquid detergent is another pick that would be a good option if you are looking for a septic-safe detergent. This is super-concentrated stuff- the price may seem steep but you are getting 66 loads out of the 53.5-ounce bottle! The nice thing is they also have other natural laundry products that work well including fabric softener, dryer sheets, and stain removers. One of the reasons we like their products is that they publish a list of ingredients that they refuse to use in any of the products. Most of these are chemicals we want to avoid in our home in general but also are ones we don’t want to flush into our septic system so it’s kind of a no-brainer since shopping their products you at least know you won’t be bringing any of these into your home (or ending up in your septic tank) without having to read the small print on every label. 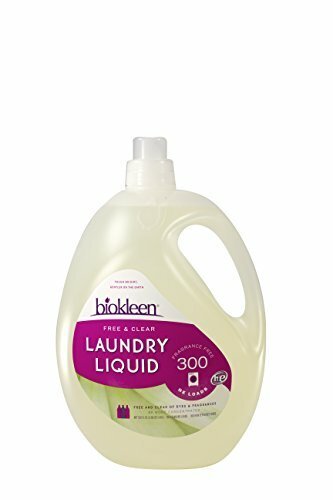 Biokleen Laundry Liquid is one of the most concentrated laundry detergents on the market. It is up to 3x concentrated, meaning it does not take very much of it to get your clothes clean. The formula is free of all fragrances, dyes and preservatives. It is also eco-friendly, and safer for your septic system. It is smoother on your washer as well! This formula is super concentrated. You can get up to 150 loads in a standard washer, and a whopping 300 loads in a high-efficiency washer with one 150 oz bottle. It tackles tough odors and stains fiercely, even in cold water, leaving your clothes clean and free from stains. It is made in the USA, which is usually an advantage for people who like to shop local and support local businesses. The design of the bottle makes it to where the detergent drips from the spout when you use it. You can avoid this by wiping it off with a cloth after each use, then tossing the cloth in the washer. Although it is supposed to have a natural citrus scent to it, most people say that it doesn’t really leave behind much of a smell at all. If you enjoy your laundry to have that detergent scent, this may not work for you. The Eco-Me Natural Concentrated Liquid Laundry Detergent offers a fresh lavender blossom scent while getting your clothes pristinely clean. While it is not fragrance-free, it does not have any synthetic fragrance added to the formula. This is great news for people that have sensitive skin. It is also free of formaldehyde, parabens, sulfates, chlorine, phosphates, and dyes. It is children and pet-friendly. The plant oils that make up this formula are not only great when it comes to making your clothes clean and leaving a fresh scent behind, but they also help to fight against bacteria with antibacterial properties. The formula is not only free of chemicals, but it is also free from cruelty. They do not test any of their products on animals. Do up to 64 loads with one 32 oz bottle of detergent. It is even safe in HE washers. The scent smells great in the bottle, but it tends to not transfer over as much to your clothes. It tends to not lather up as well if you have harder water. It may be more efficient in areas that don’t have hard water running through their pipes. The Seventh Generation Natural concentrated laundry detergent is made up of a triple enzyme formula that helps to fight even the toughest stains. It can even get out things like spaghetti sauce. The formula is also made to be hypoallergenic, making it safe for people who have sensitive skin. It is also biobased, made with main ingredients that are plant-based. The formula is 4x concentrated, meaning that it goes a long way. You don’t have to use very much at all. This can save money over time. The ingredients are not only safe for the people in your home, but they are also safe for your home and septic systems. They are even safe for the environment. There are no dyes, fragrances, or fabric brighteners in the formula. It can be a little bit on the expensive side, especially if you use more than it calls for. Stick to the amount that it recommends, because a little bit really does go a long way. Some consumers have stated that the bottle tends to leak a little bit during the shipping, which can be pretty frustrating. It does not leave any sort of scent on your clothes, which for those that enjoy fresh fragrant laundry may not really like. Attitude is a Canadian company. While it may be lesser-known that some of the brands above, it is a growing company with products available in 40+ countries. Their 3X concentrated formula detergent is sold in a 35-ounce bottle comes out to about 35 loads. 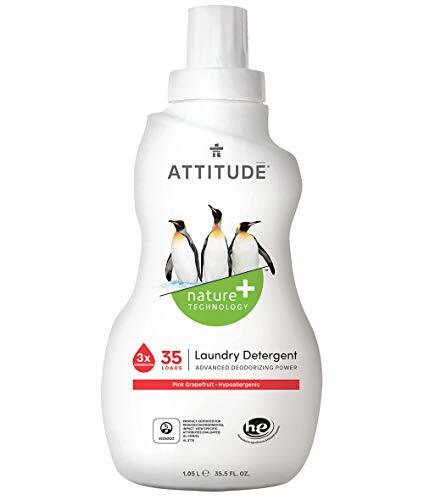 Attitude makes a wide variety of products and their laundry detergent is available in several fresh scents including Pink Grapefruit, Pear Nectar, and Camomille, as well as a fragrance-free option. They also make fabric softener and laundry detergent specifically for baby clothes. Graded A on EWG’s Guide to Healthy Cleaning, PETA Approved and never tested on animals, and ECOLOGO Certified: sustainable, biodegradable and low aquatic-toxicity. 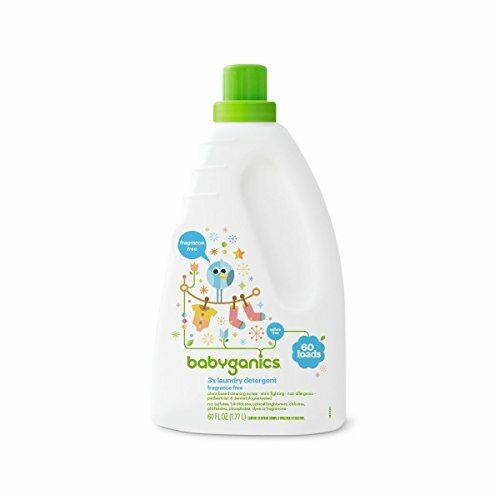 We selected this laundry detergent by Babygenics on our list especially for families with babies. The mild formula is designed to be gentle on baby clothes and delicate fabric including cloth diapers. It is HE washer compatible and triple concentrated. Some buyers have commented that because of the mild nature of the detergent, you may need to pre-treat extra heavy stains before using this one. The detergent comes in 60 Fluid Ounce bottles and is 3x so equals enough for about 60 standard loads of laundry. 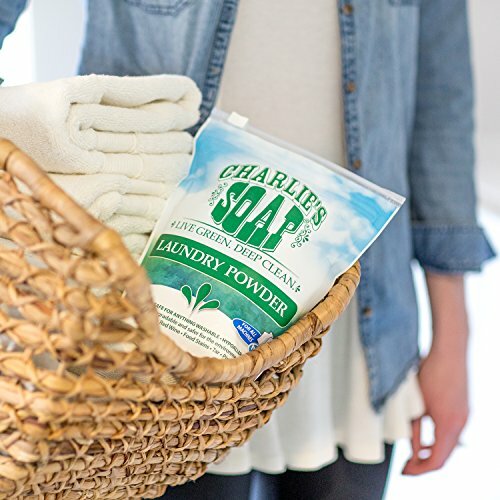 If you prefer your laundry detergent in powder form, this septic safe laundry detergent by Charlie’s Soap is one worth taking a closer look. True to the company’s slogan of “less is more” both the concentrated powder and the minimalist packaging are true to that. The washing powder is strong stuff, with just 1 tablespoon needed to clean a full load of laundry. The packaging is also minimal, with just a simple, reclosable zip-lock pouch so no large plastic bottles to deal with. If you live in an area with hard water, you can also pair this detergent with the same brand’s Laundry Booster and Hard Water Treatment to remove residue from hard water that can irritate your skin. 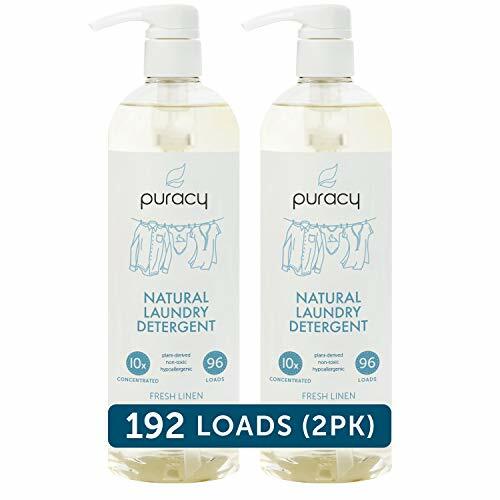 Puracy packages this soap in convenient plastic bottles with a pump-top lid which helps prevent spills and also makes it easy to measure out just the needed amount without dealing with pouring it into a cap. The smaller format bottle (24 Oz) is deceiving since that relatively small bottle contains enough for 96 loads of dirty laundry. The detergent comes with the brand’s guarantee that it contains no phosphates, sulfates, petrochemicals, animal by-products, chlorine, perfumes, gluten, tree nut-based ingredients, dyes or allergens. Puracy is another of our favorite brands that now has a full line of toxic-free cleaning products as well as a line of natural bath and body soaps, the brand made the top of our list of the best body washes for hard water. The company is based in Austin, Texas and is dedicated to making healthy household products that are made in the USA. 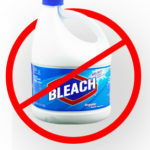 Chlorine Bleach: although this has been widely used in the past, it is a powerful irritant that can also have very toxic effects if it comes in to contact or mixes with other household cleaners. Large doses can also kill off the healthy bacteria that keep your septic system working and properly processing waste materials. We hope this short list of recommended laundry detergent saved you some time and help you find a product that fits your budget and is safe for your septic system and home. If you are looking for other tips and recommendations for living with a septic system click here to see our other articles. If you are more of a DIY person, here is a homemade soap you can make using natural ingredients for a fraction of the cost of store-bought detergent. This is a simple recipe. It makes up to 5 gallons of diluted liquid laundry detergent (the video shows a double batch being made). You can also use it concentrated and just use a smaller amount (as little as two tablespoons for a whole load of laundry so depending on how big your family, one batch could last months. Coconut Oil vs. Almond vs. Jojoba | Best For Very Dry Itchy Skin (Eczema)?